Innovation: A garden space for formerly incarcerated women to grow and raise food and animals. A reentry advocate shows women how to grow outside of their comfort zones. 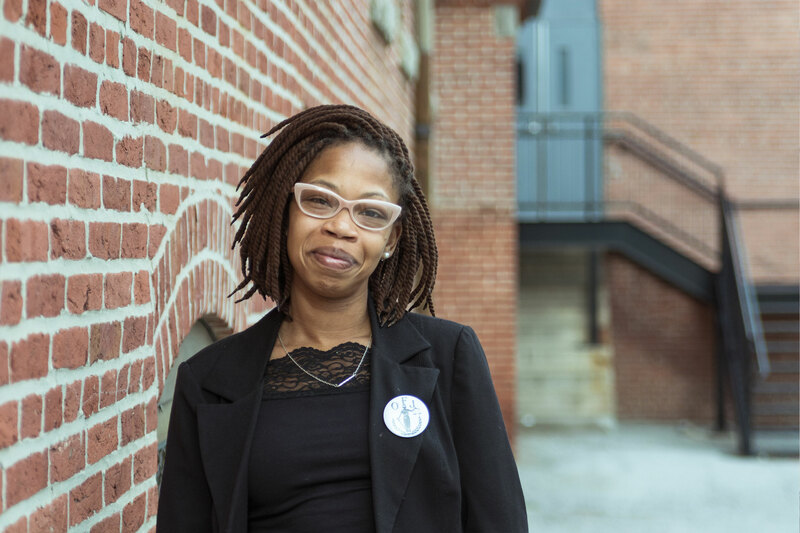 When Nicole Hanson decided to pursue a college degree at Sojourner Douglass College as a fulltime student and mother, she realized quickly how difficult it would be. She’d left a fulltime job working with Delegate Jill P. Carter as a legislative aide, but as a student she had trouble adjusting to not being able to financially contribute to her family. With what felt like very few options, Hanson made a choice that landed her in prison for nine months. Those nine months changed her life and shifted her purpose. When she came home Hanson found it difficult to find a job with a criminal record, especially in politics. She reached out to a friend in Annapolis that suggested she join an organization called Out for Justice, an organization that helps fight for legislation that helped ex-offenders reenter society. After applying for jobs and never hearing back, she knew that she would have to work to create opportunities for herself and the women that she met in jail. “I knew I deserved to be there. I did the crime. Some women didn’t need to be there. They were losing everything because of a suspended license. They needed a voice and an advocate.” Out for Justice helped Nicole to strengthen her voice and work hard to change legislation. “I knew what I wanted to do but I didn’t think I had the time to do it.” Nicole’s work ethic and commitment to the organization quickly garnered her support of the board and other members of the organization and she quickly became an integral part of the program. Now as the director of Out for Justice, Hanson still advocates for laws that negatively impact people with criminal records. Out For Justice is always thinking about the needs of women reentering society. Women are often tasked with providing food for their families, but in Maryland, individuals with felony drug convictions are currently banned from applying for food stamps and TCA for up to a year after their conviction. This past Legislative Session, Out For Justice worked to pass Senate Bill 853, the Maryland Fair Access to Food Act, to eliminate the ban on food stamps. The success of this bill was uncertain until recently, and so Out for Justice came up with an alternative to help women who may be impacted by the ban. “A mom’s ability to feed her family shouldn’t be penalized because she made a mistake,” says Hanson. OFJ’s Reentry Women’s Initiative team created a program to teach formerly incarcerated women how to participate in the legislative process and how to be healthier and more self sufficient through growing their own food. RWI is providing a garden space in the Oliver Community in East Baltimore for women to grow their own foods and raise animals like chickens and turkeys free of charge. “We want to create a way for moms to always eat and eat healthy.” The program will support women in learning how to change both their personal lives and the policies that limit them.